Although I am not an advocate of the Pauline authorship of Hebrews, I do believe that critics of this view are often too dismissive. 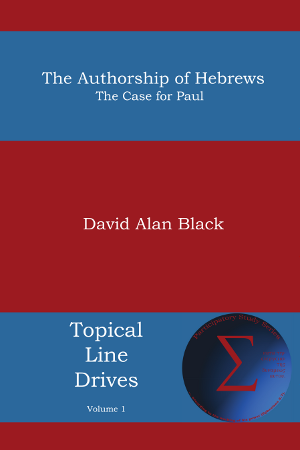 So I am thankful that a new blog has been set up for David Alan Black's new book, The Authorship of Hebrews. The book challenges readers to reconsider the evidence for Pauline authorship. You can access the blog here. Is Religion the #1 Cause of War?